Go to Settings in the top right corner of your Facebook page. You’ll see an overwhelmingly large and extensive menu that will look confusing, but DON’T WORRY! Click on “Set Preferred Page Audience”, which will produce a screen like this one. You can then click on “Add Bulk Locations” and select “Postal Codes” on the next screen where it asks what location type you’d like in the drop-down menu. Select all the zip codes from your list and paste them into the field there. 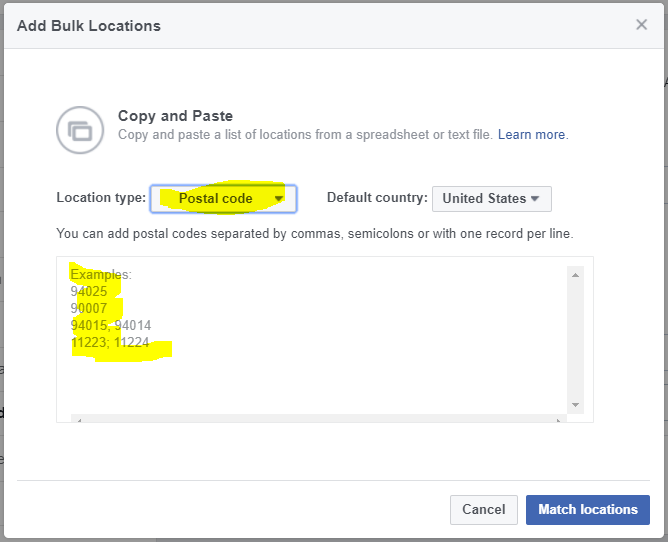 Click on the “Match Location” button and you’ll be shown a list of zip codes that matched up (which should be all of them). 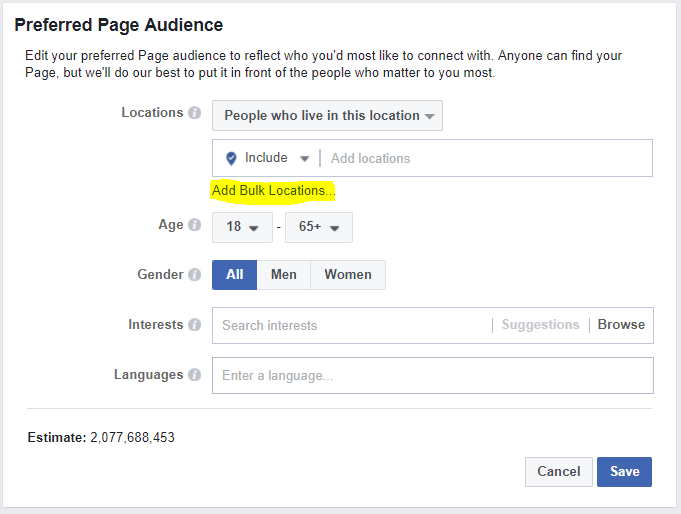 When you get back to the “Preferred Page Audience” page, you can narrow down your audience further if you like by adjusting age, gender, and interests if you like. However, I would save narrowing your audience for creating advertisements. For your overall page, I would recommend keeping it as open as you can.